I am super excited for this coming week. Mainly because I have it all planned out and even most of my copies made for the week. Since I'm planned out, I decided to link up with Mrs. Laffin's Laughings for A Peek at my Week. 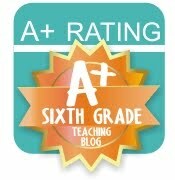 Stop by her blog to see what other teachers have planned for this coming week! I'm also starting a new unit in social studies which is my favorite, Ancient Greece. For language arts I am finishing up non-fiction with both of my classes. Here is a look at my lesson plan template. I made this template to go with exactly what I teach. I teach language arts and social studies but to two completely different leveled classes so often the lessons are very different. This week I will be wrapping up my nonfiction unit. One thing that I'm super excited about is using Newsela. If you haven't visited this site yet, then you should definitely check it out. He has passages available with their Lexile Levels and quizzes to go with them. I'm having my students pick out an article of their choice to read and respond to. I'm also using readworks.org to print passages for my students to go along with what lesson we are discussing. 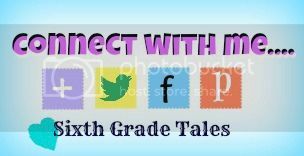 They have passages to go with topics like point of view, main idea, author's voice, etc. I have been doing mini-lessons and then putting students in group by reading level to work on practicing that skill. I love teaching ancient Greece for many reasons but this year the biggest reason is because I have the unit organized. I put together a binder of all the resources I have. 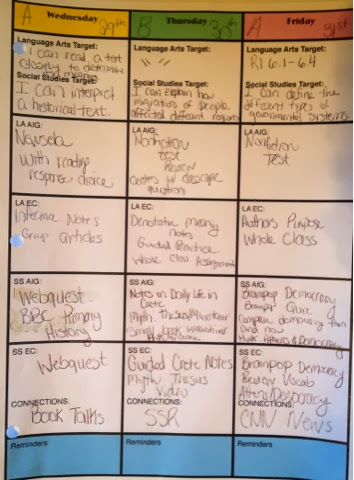 It has sections for each major topic with the passages or activity behind them. For example, behind geography there is a map of Greece to color code, a few articles on geography, and a cause and effect activity. Once I had the binder put together it was so much easier to plan for the unit. I am doing a lot of stations with Greece and interactive activities. 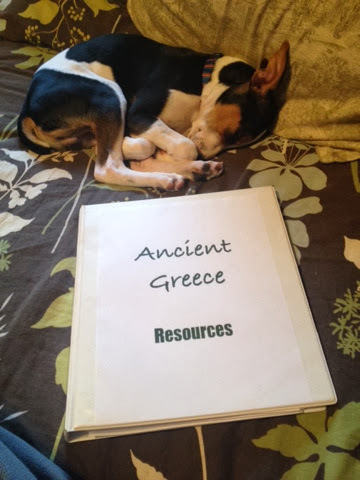 This week they will be starting a folder with information they learn about Greece so that they can later use it to write a story about their own character from ancient Greece. There was nothing exciting about seeing the binder I'm using but I thought Jack made it more interesting! He has been wore out this week from getting to spend extra time playing with his mommy.